426143 Fisher & Paykel& washing machine inlet valve 12V cold proportional fill. 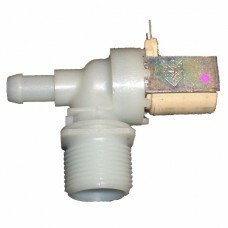 You should only ever use the highest quality& valves for Fisher and Paykel washing machines. These valves are 'proportional fill' which means they are not just on/off like most inlet valves. Your washing machine's circuit baord controls how much to open the valve. using the incorrect or some non-genuine valves can and does burn circuit boards out.